6 of my favorite keto products to improve sleep and make living an awesome, high-fat (keto) life easier. There are things that I eat and use every day that I’m absolutely obsessed with. Which is why I started a little thing I call, “What Leanne Loves”, maybe you’ve watched What Leanne Loves Episode #1 or What Leanne Loves Episode #2? 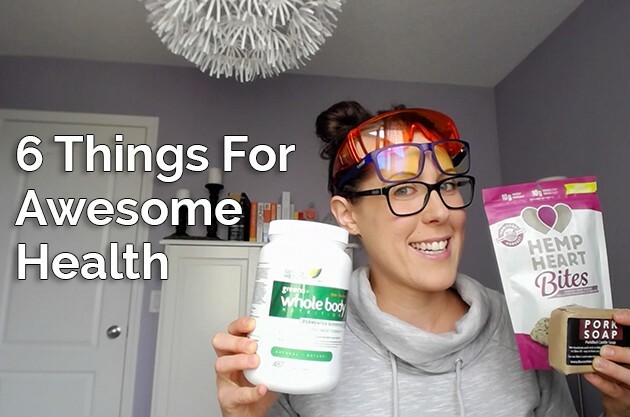 Basically, every 3 months, I’ll be sharing 6 keto things that I am using to balance my health, improve my sleep, and live a thriving high-fat (ketogenic) life. These keto things make my life better. These keto things make me happy. And maybe… these keto things could do the same for you. And, one of the featured products created a coupon code for us! I have found these keto products, I have loved these keto products, and I want to share them with you so that you can (potentially) love them, too! Gunnar Lenses to help regulate blink rate and reduce environmental eye damage. Day Lamp with Negative Ions by Nature Bright. What steps do you take for a healthy sleep? I’d love to chat about them with you in the comments below! Yo, guys. I’m such a nerd. I’m wearing all the blue blocking glasses that I own. Can you guess what today’s keto video is about? I’m going to take these off, so you actually take me seriously. 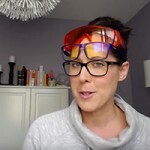 Today is “What Leanne Loves,” where I share some cool new gadgets, and products, and awesome things every three to four months that I find cool. Maybe you will too. Today’s topic, I have gotten a lot of questions about the health of our sleep, and how to get the best sleep, and how to encourage falling asleep when you actually want to. I did a little bit of digging, and I have three fancy products to show you that are all inexpensive that you can incorporate into your day with a lot of ease. Imagine all of the lights that you subject yourself to on a daily basis; you have your laptop, and your house lights, and your office lights, and the lights in the cars in front of you as you’re driving home, and your TV at night, and all of the lights. Before we had lights, all we had was sunlight. Sunlight helps us manage our circadian rhythm. This circadian rhythm is like our body clock, and is involved in many, many processes throughout our body, including the quality of our sleep. This clock is always adjusting itself as it relates to the environment around us. High Energy Visible, also called HEV blue light can disrupt our entire system, including our body clock, our eyes, our neck, our back, serotonin production, melatonin production, and our overall health. Before I get going with the keto products, I just want to say that anything that I am about to share with you, everything is linked below this video. If you’re watching it on YouTube, just check out the notes. If you’re watching this on the blog at healthfulpursuit.com, everything will be below in the highlights section. If you’re watching this on your mobile, or a tablet, or something, and I am pointing out to the corners, and you’re like, “I don’t see what she is talking about,” also look in the notes section. Everything will be below there. The first option for blue light glasses are these bad boys right here. I have never worn them out in public. I guess this could be considered “Out in public.” They are from a company called “blueblockglasses.com.” They are a Canadian company, and they come in two different styles. The first one is the one that I am wearing. You can see that it’s very much blocked on the side. There’s a ledge right here, so no light gets in, but it’s quite embarrassing to wear out like at the grocery store. They have another option that looks almost like regular glasses, and they’re just orange. You could wear them, and not so many people would ask questions. Maybe they would, then you can tell them about blue light blocking, and how awesome it is. These glasses block out 99% of the blue light. For me, I go for a walk in the evening as the sun is setting, and when I get home, I slap these babies on, and I keep them on until I fall asleep. The guys over at blueblockglasses.com are offering all Helpful Pursuit readers and watchers 10% off everything in their cart when they order between October 28, which is today, to November 18, 2015. 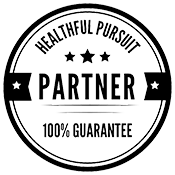 You can use HEALTHFUL at checkout to take advantage of that deal. This second type of blue blocking glasses … These I find are a lot cooler. I’m going to take off my glasses for now, because you have to take off your glasses. These guys are from gunnars.com. They are about $60 to $100 a pair, depending on what you get. I think these were around like $59. There’s free shipping for gunnars.com for orders over $50 in the U.S. There’s a lot more technology in these, than the other blue blocking glasses that I showed you, but there is a caveat. These guys right here, they only filter out 65% of that blue light. Our classic lenses reduce our blink rate, which dries out our eyes, and we can be susceptible to more environmental damage. With Gunnar Optics, they create computer eyewear recommended by doctors to protect and enhance your vision. There’s three different options to their glasses. The first one is the ones that I am wearing. These are Gaming or Office Amber. You can see that there is a tint to it. Like I said, these filter out about 65% of that blue light. They make another type called “Office Crystalline.” That’s for the creative type that need the color spectrum, so they can edit things, and make sure that they’re seeing the right color. It only filters out 20% of the high-intensity blue light. These are their sunglasses. Their outdoor glasses filters harmful UVA and UVB light, while still allowing you to see your screen, if you’re working outside. The third one, and how to manage your circadian rhythms and get better sleep … Oh my gosh, this is so exciting. Are you ready for this? See this guy right here? I’m going to try to turn it on. It might wreck the picture, but you can see it. Yeah, it’s awesome. I put this guy on every morning before I get going with my day. On the side here, you can see there’s a little timer. It says “On,” “Off,” and then these are options for ion release. Then you can see 15, 30, 45, and 60. I put it on for 30 minutes, and I sit in front of it every morning. It’s part of my morning ritual. It’s from NatureBright. It comes in a box like this. It helps you regulate melatonin production, so that we can get tired when we should, and arise when we should. The SunTouch Plus from NatureBright is about $80, and it’s designed to boost your mood and energy throughout the year and mimicking 00:05:28 the light of the sun and the negative ions. Think of how good you feel when you’re in the shower, and all the water is hitting the tub. That’s negative ions being created. These rejuvenating particles that just make us happy and feel good and awesome. Stepping away from the quality of our sleep and getting into some tasty products that I have fallen in love with over the last couple of months; the first one is from Genuine Health. It’s called “Genuine Health Whole Body.” This product is gluten-free, and vegan, and soy-free. The whole reason I take this, and probably why it was created is because it’s fermented greens. It’s encouraging healthy bacteria in out gut, really changing the way that people are nourished. This isn’t to say, “Replace your lunch with Greens Whole Body.” It’s just, in addition to the awesome eating style that you already have, having this scoop of greens everyday is just going to help your body and help your digestive system just a little bit more. You’re probably wondering, “What is in this stuff? How does it even work?” I encourage you to go over to their website, because there is like tons of ingredients, and they are all awesome. There’s purple carrots, and olive fruit, and fiber, ginko biloba, and all of the things. The next is Manitoba Harvest Bites. Yum! It’s Hemp Heart’s shelled hemp seeds, organic evaporated cane sugar, organic brown rice syrup, organic vanilla flavor, and sea salt. Eight pieces is 230 calories, 13 grams of fat, 1.5 grams of saturated fat, which we want, a bunch of omegas. There’s a little bit of sodium: 95 milligrams, carbohydrates: 15 grams, fiber: 3 grams … that’s about 12 net grams of carbohydrates, sugars: 13 grams, and protein: 10 grams. Totally understand why these guys did it, because if you take Hemp Hearts, they’re pretty hard to take along with you. Usually, for me, I just mash them up with some coconut oil and freeze it, and then I use them as little bites. If you’re on the go, and you have friends or little kids that have a hard time eating healthy snacks, I definitely recommend these. I’m doing a carb-up. I will eat this in the evening, sometimes sprinkle it over something like baked apples. I have put it on homemade ice-cream before, and they’re really tasty. Last, but not least … You may find this weird, but I think it’s awesome, so here we go. It’s pork soap. You guys remember a couple of “What Leanne Loves” episodes ago … I will link up to them here, here, below, all of the places, where I shared Pork Clouds? These guys are pork rinds made with olive oil. The fabulous creators of the Pork Clouds made this Pork Soap. Basically, all it is is castor oil soap made from the olive oil that they cooked the pork rinds in. There’s not bits of pork rinds in here. In fact, I will open it up, even though I love their packaging so much … This is much I love you guys, and show you that it’s just like a beautiful bar of soap. It smells just a little bit like rosemary. It’s very, very faint. In fact, if they wouldn’t have told me that there was rosemary in here, I wouldn’t have known. It’s very, very subtle. It doesn’t smell like pork. It’s just pure castor oil soap. If you have any skin reactions to soap or anything, I’ve used castor oil soaps since I was like 16. I haven’t used body wash since then. I use it to wash my makeup brushes and all of the things. I’ve never had an issue. This stuff is great. I love it. It’s inexpensive. You can get it at baconsheir.com. I just love the packaging, and I love that it’s completely recycled. Otherwise, this stuff would go in the garbage, and it’s so unfortunate. There you have it. These are my six favorite products right now. I’m so thrilled that I got to share them with you. If you liked what I shared, and you want to learn more or hear more from me, you can subscribe to my channel. I have included a link over there. You can go ahead and click that, or go down below, and subscribe to my channel with new updates every Wednesday, including next Wednesday, where I have finally put together a summary of amenorrhea. I hope that the information that I shared today was super helpful, and you got something out of it, even if it was just like watching me put on three pairs of glasses at one time. Whatever! I hope you have a great week. I will see you next Wednesday. Bye.